NHL News : It’s not the Kings’ fault if they are so bad this season! It’s not the Kings’ fault if they are so bad this season! On Saturday, after the Kings were handed a 5-1 loss by the visiting Buffalo Sabres, the team barred the dressing room doors post-game while the players and GM Rob Blake had a secret meeting about their awful season start. After registering a 2-1-1 record through the first four games in 2018-19, Los Angeles has dropped four consecutive games in embarrassing fashion: they lost on the roads at the hands of the Ottawa Senators and Toronto Maple Leafs. 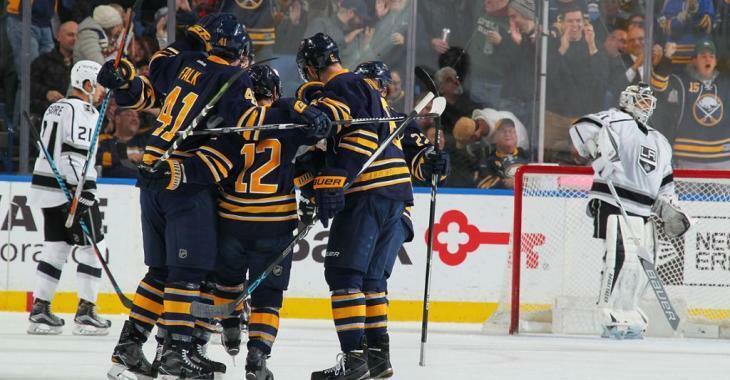 They lost home games against the New York Islanders and Sabres by a combined score of 21-5. Head coach John Stevens has been the first to be blamed for the Kings’ poor performances over the past week and may be landing on the hot seat… However, according to the panel of The Hockey News on their latest broadcast on Monday, fans almost cannot blame the Kings themselves for their embarrassing start. “I think the problem with the LA Kings is, it’s not their fault, the league changed on them, explained NHL insider Ken Campbell. “The Kings not so long ago were that big dominant Western team that could cycle the puck, that could wear you down and do all of those things and win championships. And almost like that, the league turned into a league where speed is at a premium and where small players can be successful in this league. The Hockey News panel believes that the Kings need to face the reality that they need to be faster to remain a contender in the league, but have failed to address that issue in the past five years. Ryan Kennedy even admitted to getting into an argument with Doughty about the team’s need for speed.